I do quite like rum, if it isn’t too sweet, and I’m always interested if craft distillers are exploring it, since I think there’s so much that the spirit has to offer – especially to the Canadian market.This is made by Central City, who also make the Lohin McKinnon line of single malts. The nose is quite nice – rich, sweet molasses notes with lots of oak and rich baking spice. The oakiness is rather reminiscent of Lohin McKinnon – the earthiness of the sort you might find in some root vegetables. Baked fruit too – blueberry crumble, raspberry pie, and even some baked peach. A very interesting, complex nose. The palate is easy and sweet, with a rich molasses and berry character – finishing with sweet oak. The finish has more rich molasses – blackstrap, rich stuff. A very nice medium bodied rum that isn’t too sweet – it is slightly sweet, but not overly so (especially in the realm of rum). A quite pleasant mix of vanilla, spice, and oak on the finish. The fruitiness – berries, jam, and dried berry – continues. Highly Recommended. I do quite like the oakiness on the nose…I would love to try this stuff at cask strength. I was very pleasantly surprised here! It’s nice to see some Canadian rum with 4 years on it, not that younger rum is necessarily bad, but age can bring some nice things to the table. Value: Average, but very close to high (so really, it’s between them). 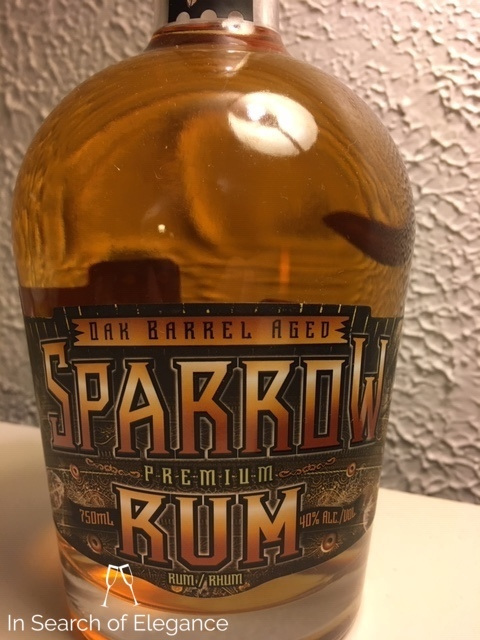 Quite a decent rum for $50!